Camp Cazadero is a camp near the Russian River in Cazadero, Sonoma County, California available for nonprofit groups starting at just 10 people up to 180, Camp Cazadero is located northwest of Santa Rosa in the rolling hills north of the Russian River and 20 minutes from Goat Rock. The site is on 1,000 acres of open meadow and has groves of redwoods, madrones, firs and oak trees. The site is a beautiful and serene setting ideal for youth, adult groups and family camps. Whether you want to bring your group for the day, or for longer stays we have a variety of lodging options and indoor/outdoor meeting areas. 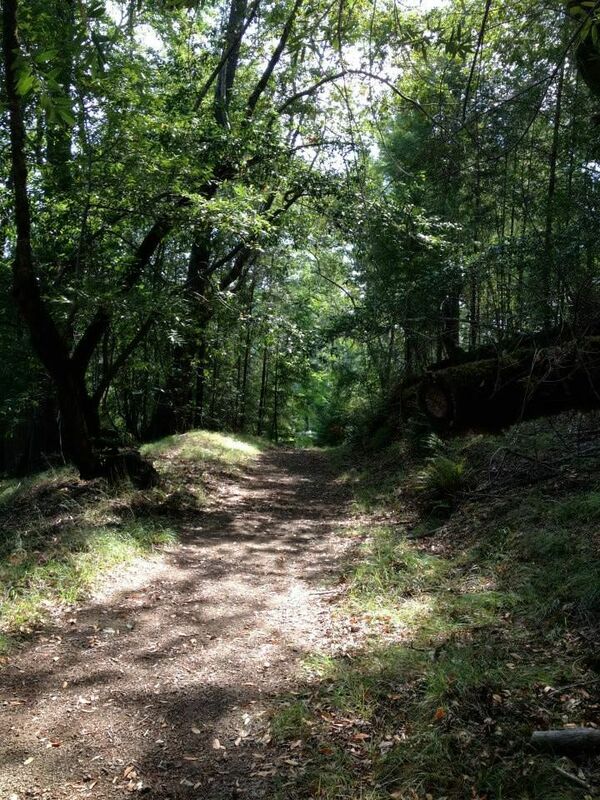 There are miles of hiking trails at Camp Cazadero. Make sure you see the waterfall! After your hike, enjoy a ball game in the large meadow or a swim in our beautiful pool. Keep scrolling to see our photo gallery and list of amenities. Please call us at (800) 678-5102 for availability, detailed site information, or to make a reservation. For a free tour, schedule directly with the site director at (707) 632-5276. We look forward to making your experience possible! "The food was excellent! Plentiful, fresh, attractive and varied, kitchen staff is always helpful and kind!" "Camp Cazadero is a beautiful site. We’ve been running our program there for over 20 years—the pool, the meadow, and the cascade falls are all ideal for kids. Our program is built around Camp Caz!" Meal Service - Homemade family-style meals or buffet available for all groups, served in the dining hall or on the outside patio by our friendly staff. Own Cooking Option - Fully equipped kitchen in Redwood Lodge for groups of 10-26 people. Cabins - Eleven cabins with accommodations for 12-14 people each (bathrooms inside each cabin). Cabins are winterized for year-round use. Redwood Lodge - Accommodates 15-26 people in five bedrooms. The Little Place - Available to group leaders, a three bedroom house with living room and kitchen, accommodates up to 5 guests. Dining Hall (Gill Lodge) - Dining and meeting space for large groups. This building has hardwood floors and a large floor to ceiling fireplace. Redwood Lodge - meeting room with stone fireplace and outdoor deck for groups of up to 40. Campfire Bowl - offers a large stage, electricity and wood-bench seating for up to 180 people. The Mesa - A large flat concrete area suitable for games and dancing (lit by floodlights). Vesper Point - provides log seating for groups of up to 100 in a beautiful forested setting. Large meadow in the center of camp with areas for baseball, basketball, volleyball and horseshoes. Nature Knapsack self-guided activities for exploring the 1,000 acre site, new in Spring 2019. Miles of hiking trails, with one trail leading to a spectacular waterfall. Camp Cazadero offers a Low Ropes Challenge Course. "We can’t begin to sing enough praise about Camp Caz, Evan and the entire crew that stewards the land and facilities! Everything and everyone were amazing! Evan and the kitchen crew were sensitive to our religious concerns and were available with a smile. It is clear that the camp is cared for as lovingly as we were. We look forward to returning for many years in the future. The Camp Caz staff did such an amazing job, that we were able to be present and engaged, enjoying the weekend. That was truly a blessing!" Mail coming to camp must say: Recipients Name C/O Camp Cazadero. To schedule a tour of Camp Cazadero, please call the site director. Camp and Retreat Center Offers Special Discounts in Northern California for Fall and Winter Season. 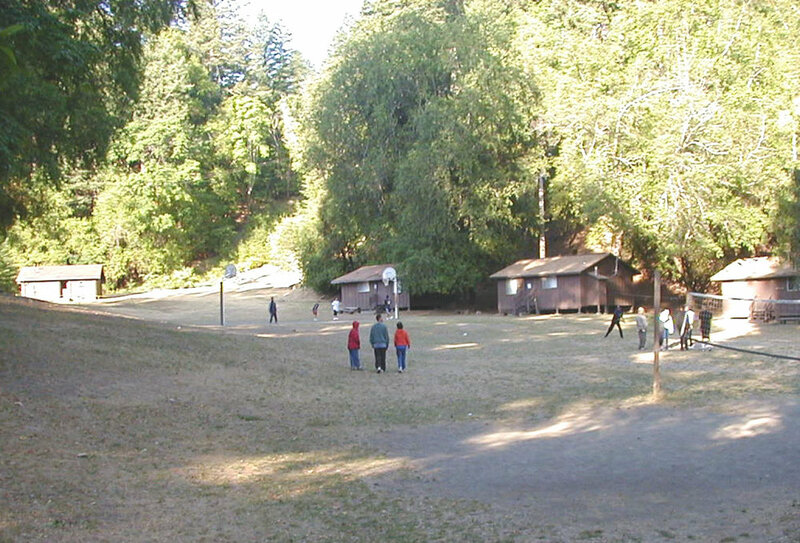 Camp Cazadero is owned by the United Church of Christ Northern California-Nevada Conference.